Minerals are best viewed under a stereo zoom microscope. 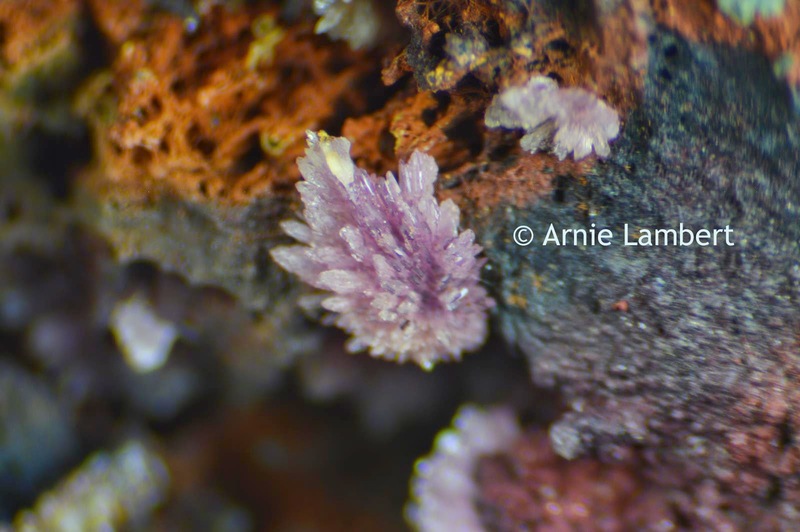 A customer of Microscope World's, Mr. Arnie Lambert captured these mineral images using a stereo microscope and a Nikon SLR camera. The Nikon SLR camera was connected to the microscope through the eyetube on his microscope using the Nikon SLR camera microscope adapter. 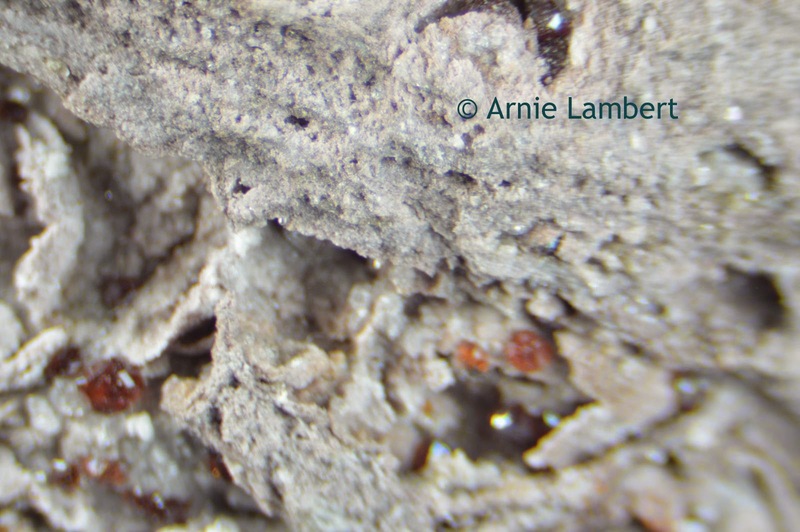 Garnets in Rhyolite from New Mexico. Garnets are a group of silicate minerals that have been used for many years as gemstones and abrasives. Garnet can be a variety of colors including red, orange, yellow, green, purple, brown, blue, pink, colorless and even black. The rarest color is blue. Rhyolite is an igneous, volcanic rock. 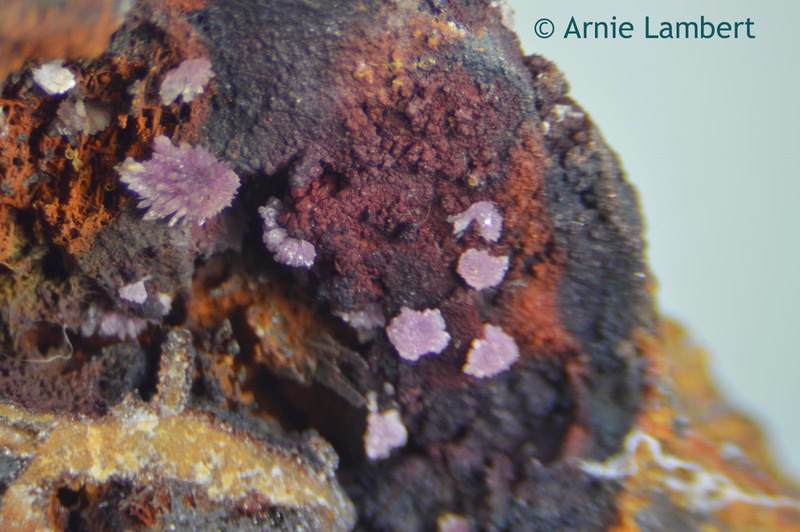 Stengite is a relatively rare iron phosphate mineral that is lavender, pink, colorless, or red. This mineral was named after Johann August Streng (1830-1897), a professor of Mineralogy at the University of Giessen, Germany. Strengite from Indian Mountain in Cherokee Co., Alabama. 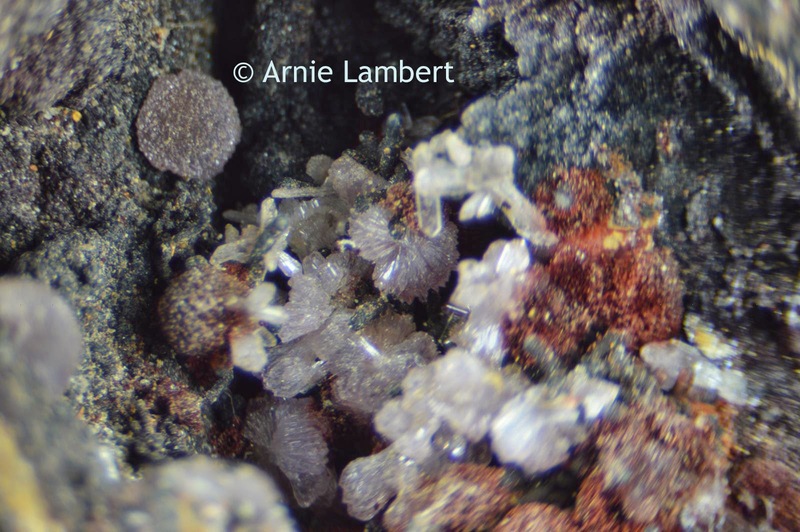 Thank you Arnie for sharing your images with Microscope World!